Если вы заинтересованы в доступных предложений размещения в "апартаменты Darija" - Sveti Petar пожалуйста, свяжитесь с владельцем через контактную форму в нижней части этой страницы. 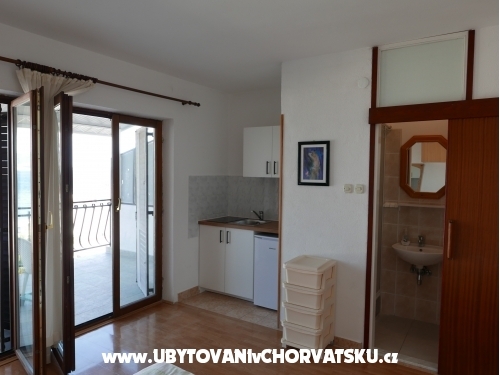 "Studio21" - Attic-studio (26m2)- large room with kitchen/dining area and bathroom. 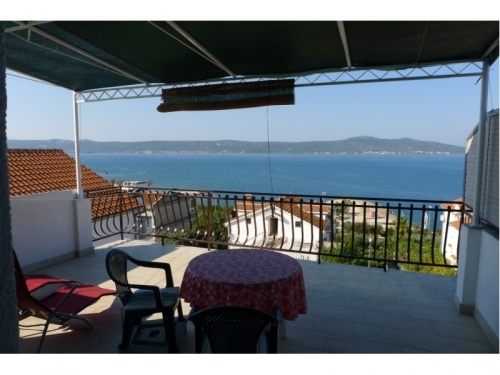 Equipped with double-bed and additional sofa-bed, TV, gas stove. 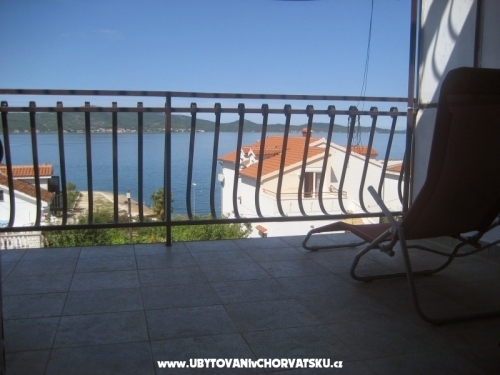 Large terrace (25m2) -overlooking the sea and islands. 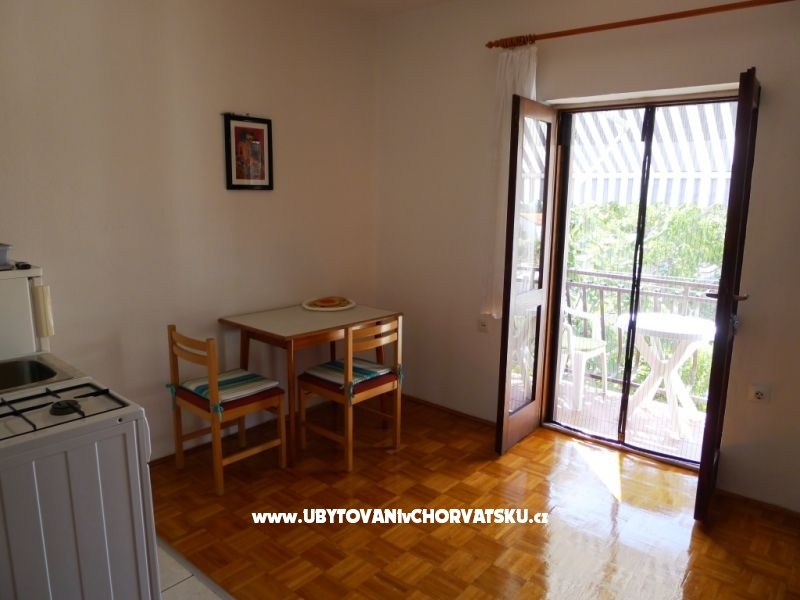 "Studio2" - Studio (20m2) consists of one large room with kitchenette and bathroom included. 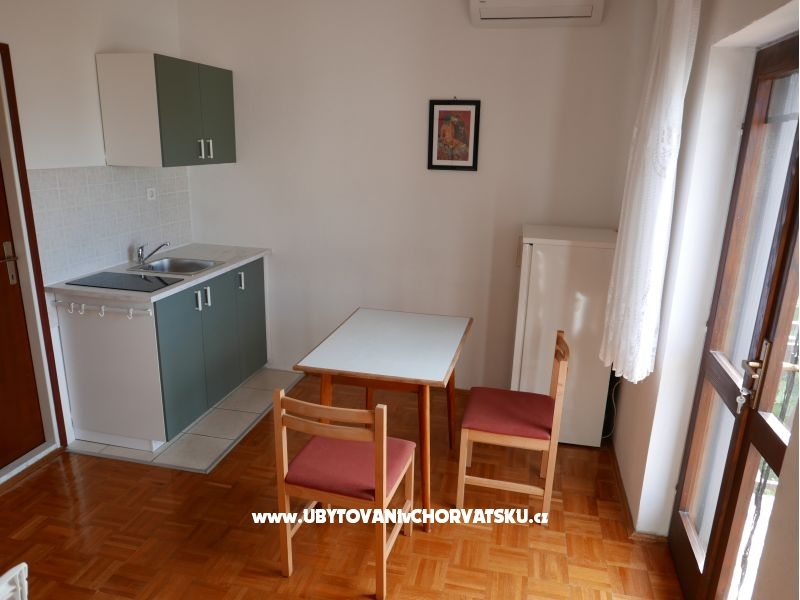 Studio is equipped with one double-bed, TV, gas stove. 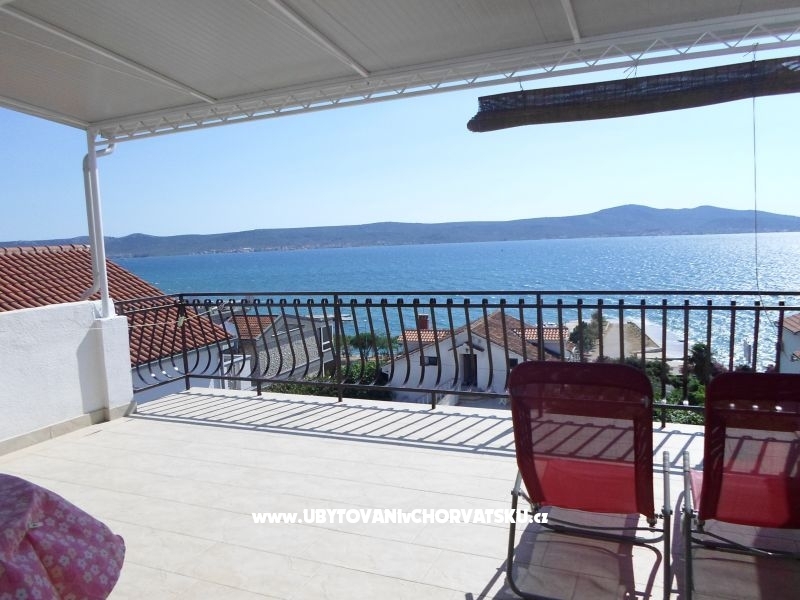 There is a big terrace (14m2) with wonderful sea view. 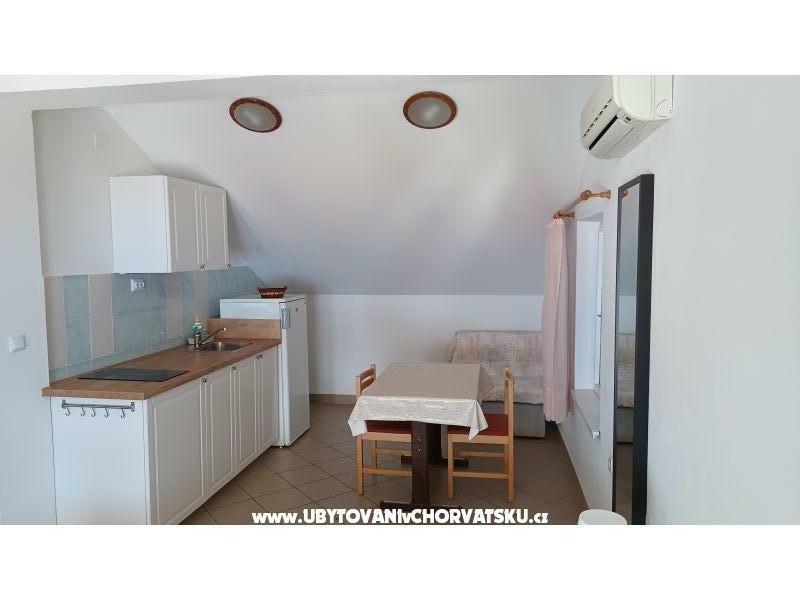 "Apartman2" - One-bedroom apartment (26m2) consists of one bedroom with double-bed, separate kitchen/dining room, large bathroom with bidet and terrace (3m2). It is equipped with TV, gas stove, cutlery and dishes. 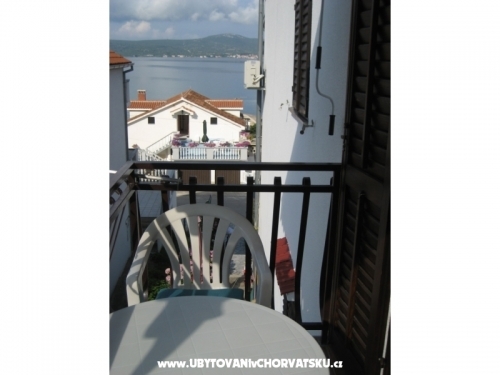 We rent studio apartment (2 persons), one-bedroom apartment (2) and Attic-studio apartment (3). Distance from the sea is about 50m. Each guest gets his own parking spot in front of the house. Studio apartment lies on the first floor. It is suitable for two persons. 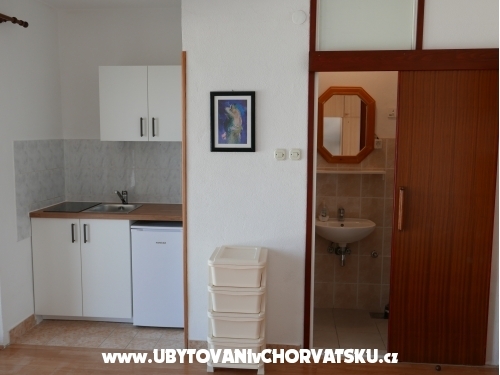 It consists of one big room with kitchenette and bathroom included (all 20m2). 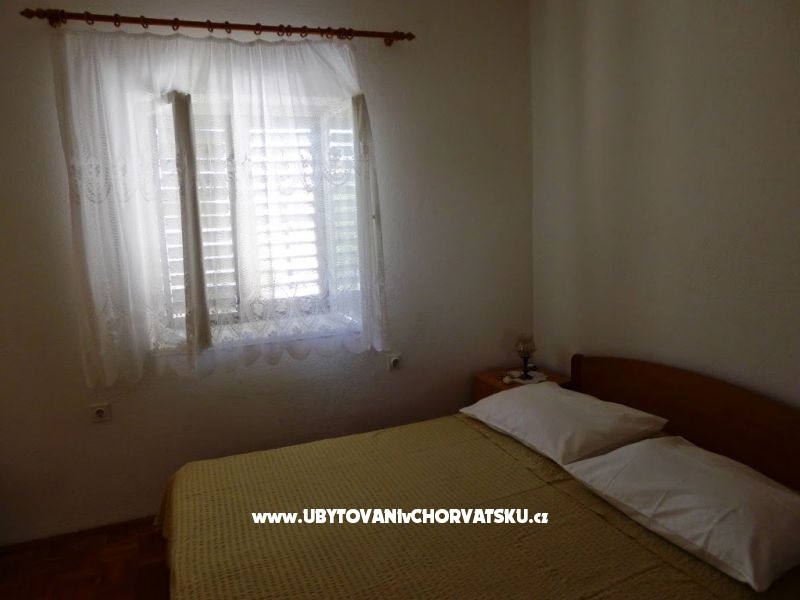 Studio is equipped with one double-bed (queen size), TV, gas stove, cutlery and dishes. Bed linen is provided. 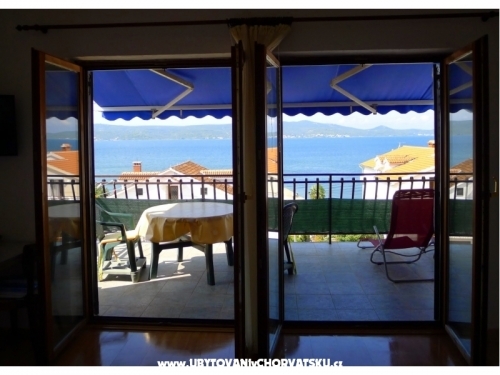 There is a big terrace (14m2) with wonderful sea view. 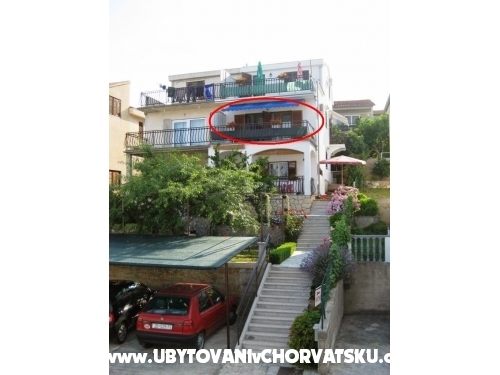 One-bedroom apartment lies on the first floor, on the side of the house. It is suitable for two persons. 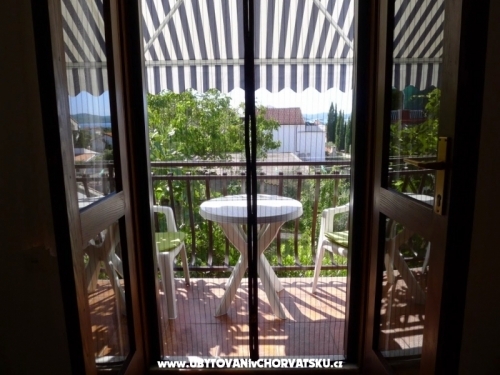 It consists of one bedroom with double-bed (queen size), separate kitchen/dining room, large bathroom (all 25m2) and small terrace (3m2). 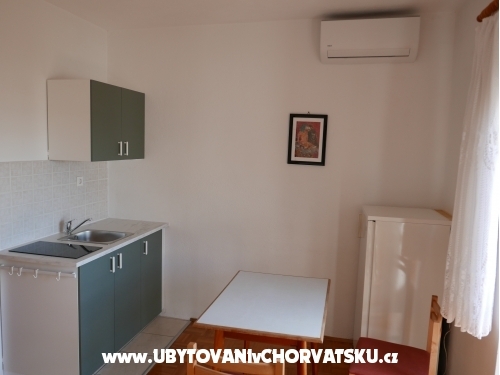 Apartment is equipped with TV, gas stove, cutlery and dishes. Bed linen is provided. Attic-studio apartment lies on the second floor. It is suitable for three persons. 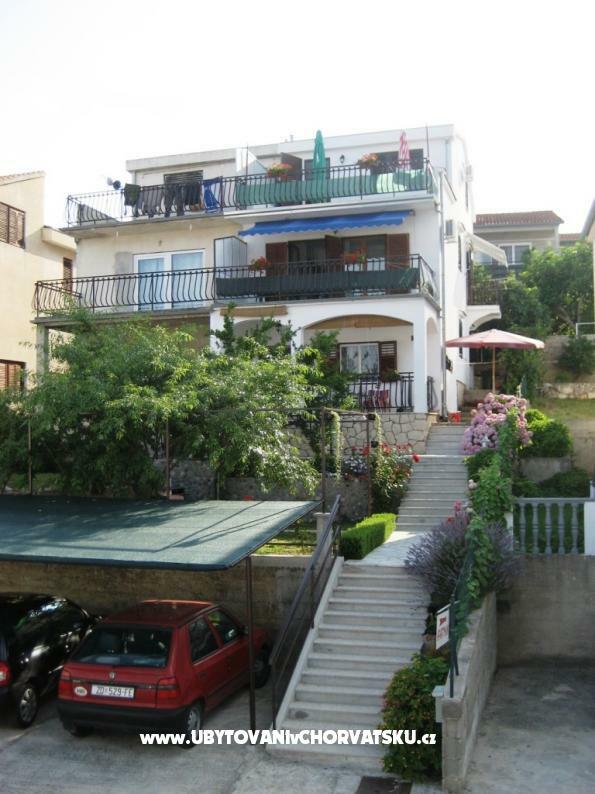 It consists of one large room with kitchen/dining area included, and large bathroom (all 26m2). 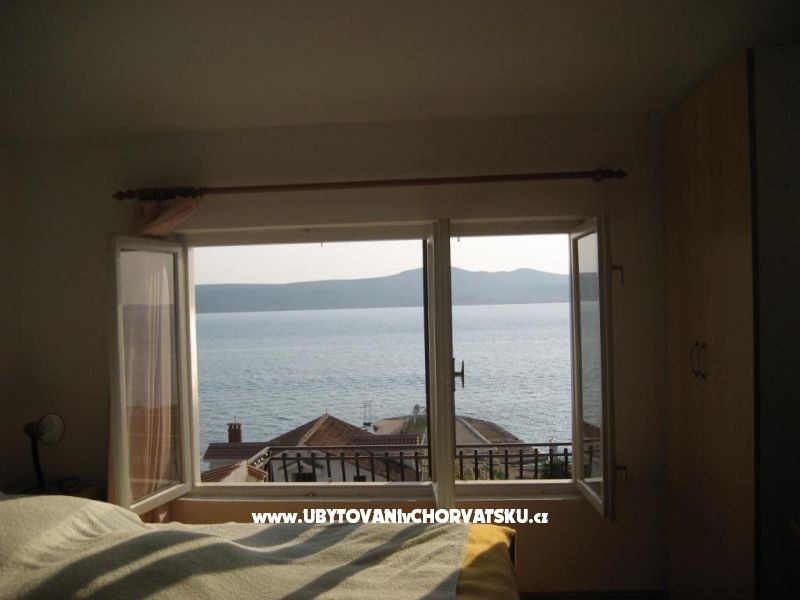 It is equipped with double-bed (queen size) and additional sofa-bed, TV, gas stove, cutlery and dishes. Bed linen is provided. 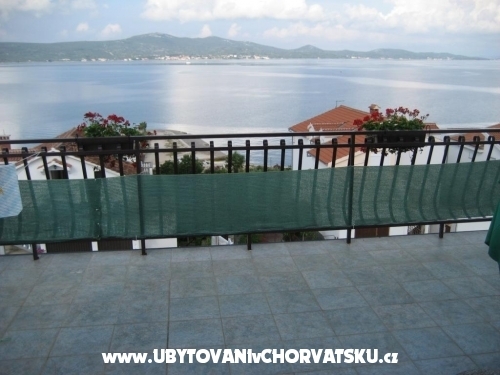 There is a very large terrace (25m2) overlooking the sea and islands. This apartment has the best sea-view of all our apartments. In front of the house there is a parking lot and grill. Distance from the sea is about 50m. Sv. 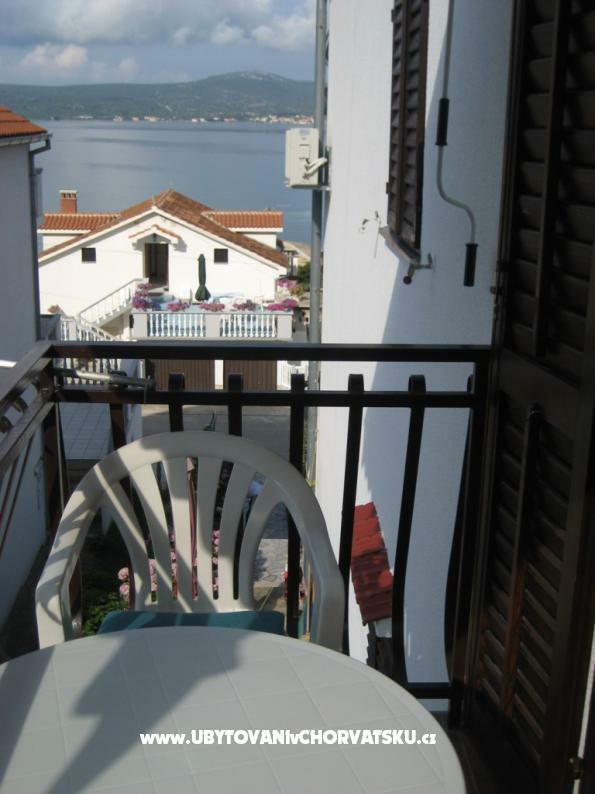 Petar is very quiet place where you can have a good rest. If you like outdoor activities, there are several national parks around. 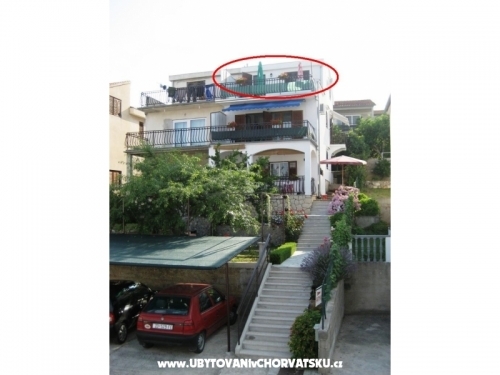 10 minutes drive from amusement Fun Park ("Croatian Gardaland"). Sv. 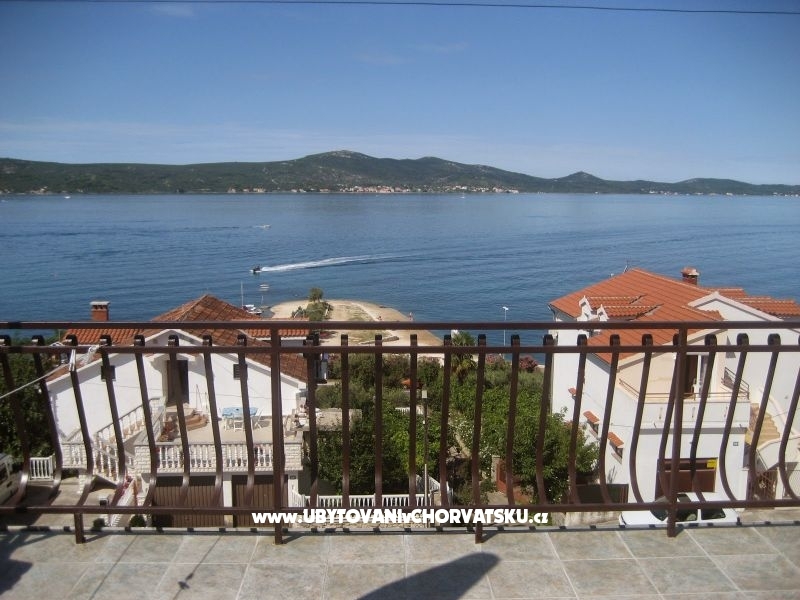 Petar, small tourist destination, situated 15 km southeast of Zadar. Sv. 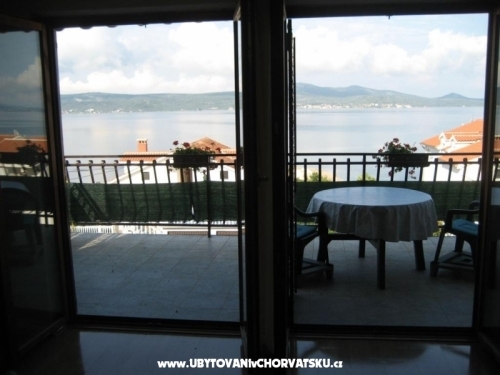 Petar is a place where you can spend your holiday in peaceful and natural surroundings with crystal clear sea. 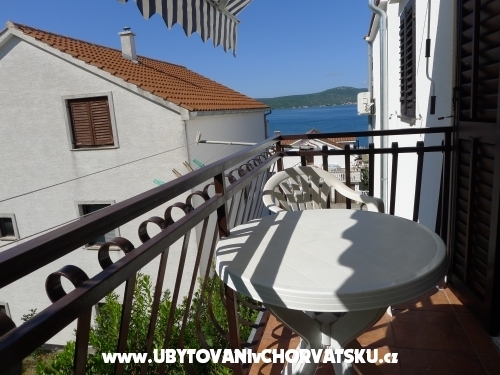 Your friendly hosts await you with comfortable apartments with wonderful seaview and islands of the Zadar Archipelago. 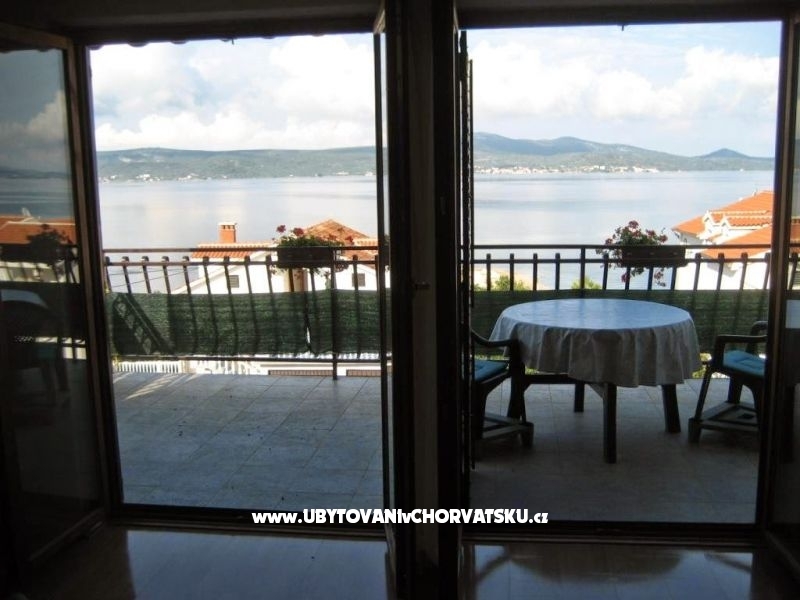 It is ideal place for people who love the quiet and the open-air life. 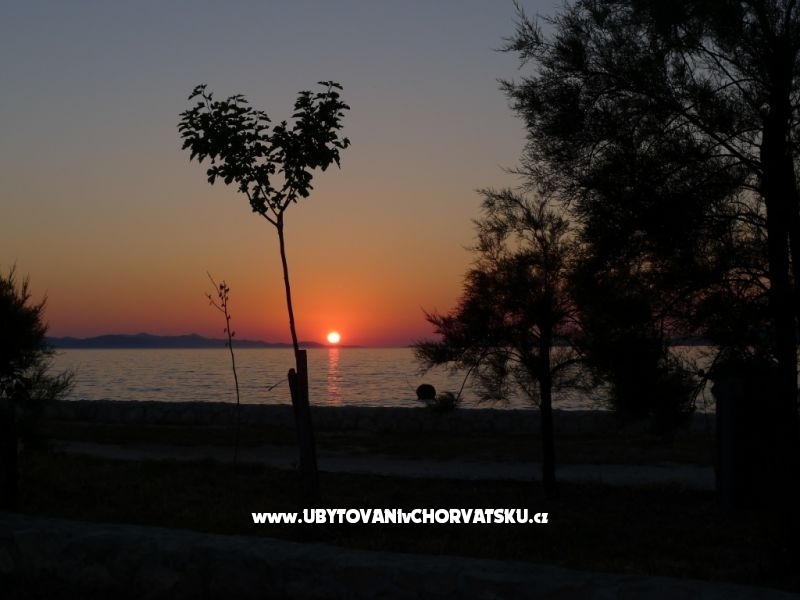 The vicinity of Zadar and Biograd allows guests to attend cultural and entertainment events. There are several national parks nearby, great for one-day tour. 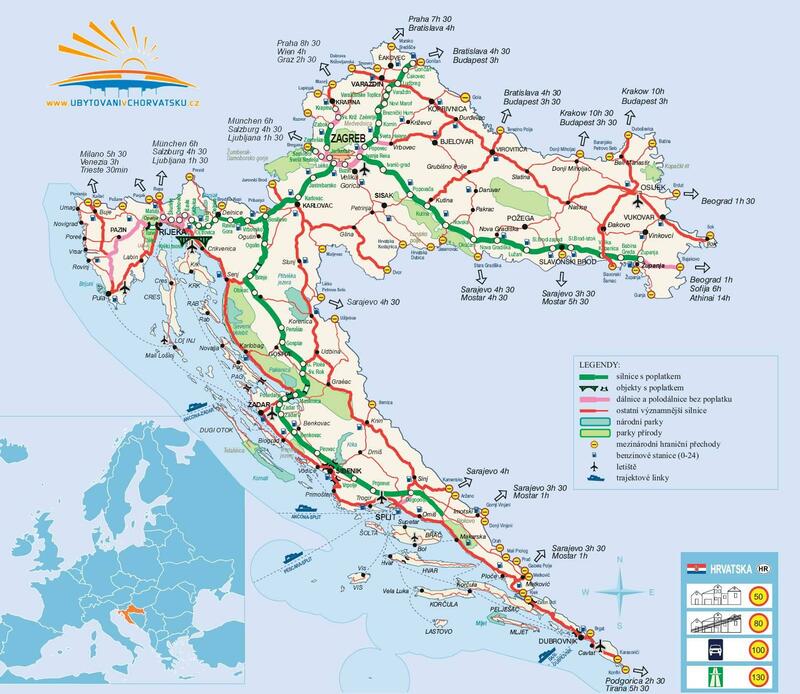 We recommend visits to islands of the Zadar Archipelago, as well as excursions to the national parks of Kornati, Krka, Plitvice and Paklenica. Комментарий о проведении отпуска в Апартаменты "Apartments Darija"